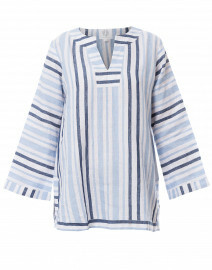 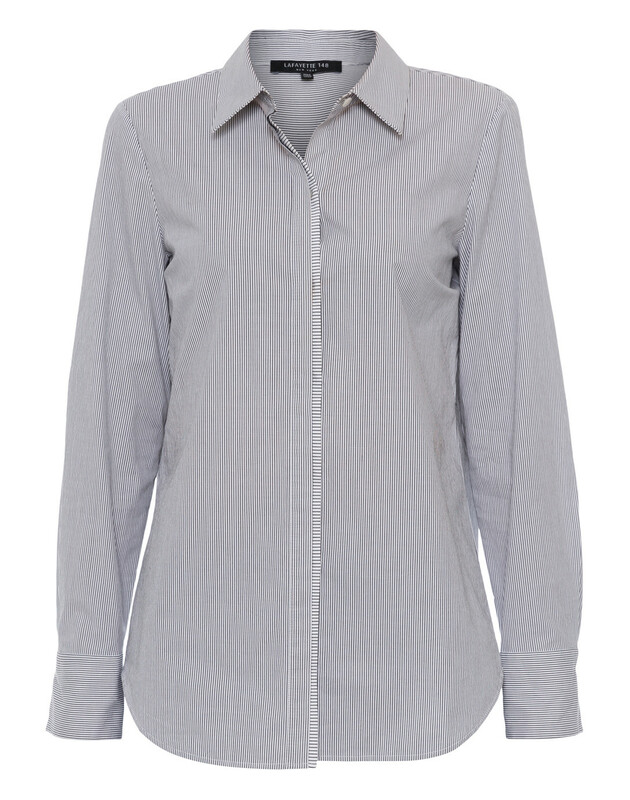 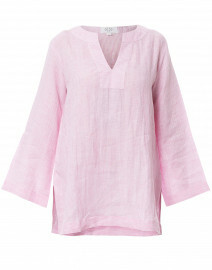 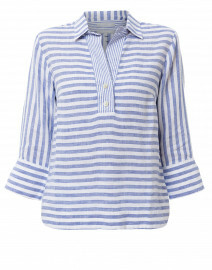 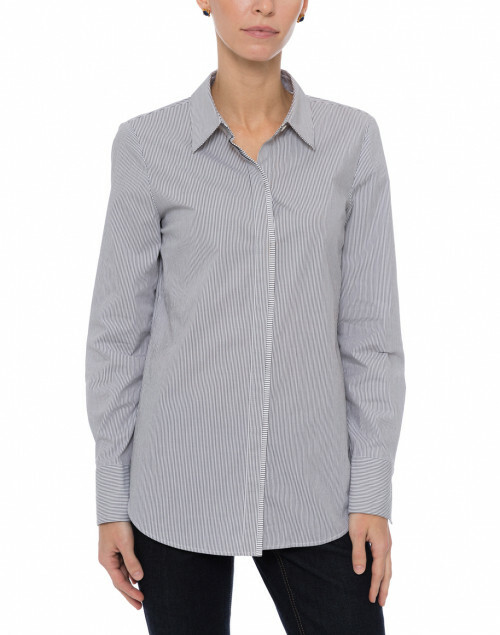 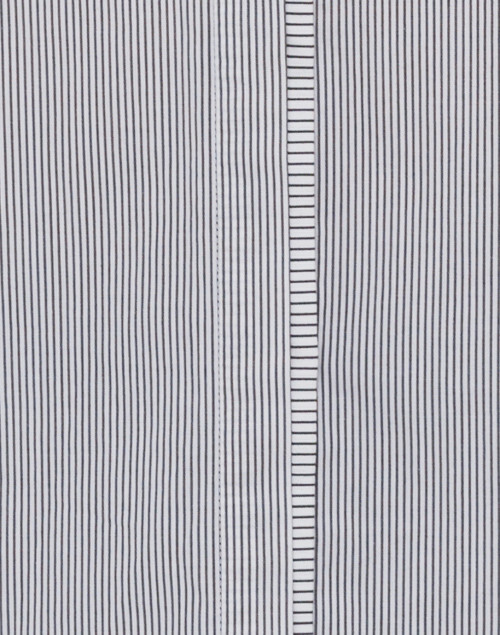 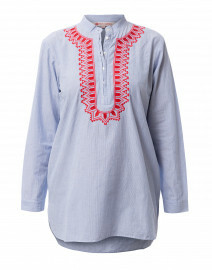 The classic nature of Lafayette 148's Scottie Blouse is back and refreshed in a crisp striped cotton blend. 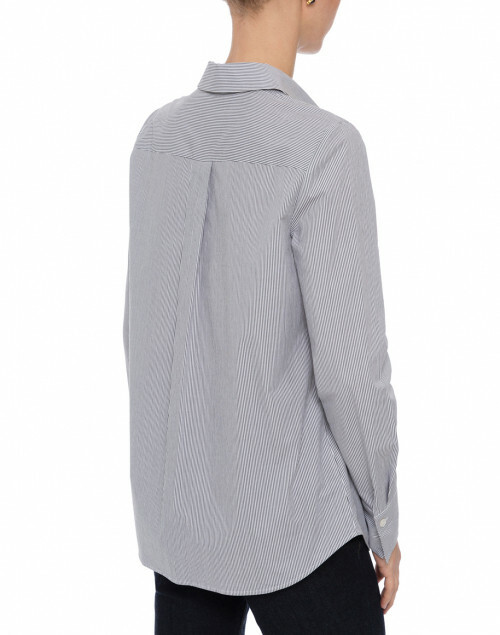 The hidden placket and shirt collar lend a structured sophistication, while the long sleeves, button cuffs, and pleated back have a more relaxed feel that makes this piece endlessly versatile. 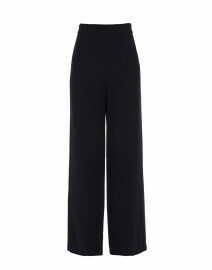 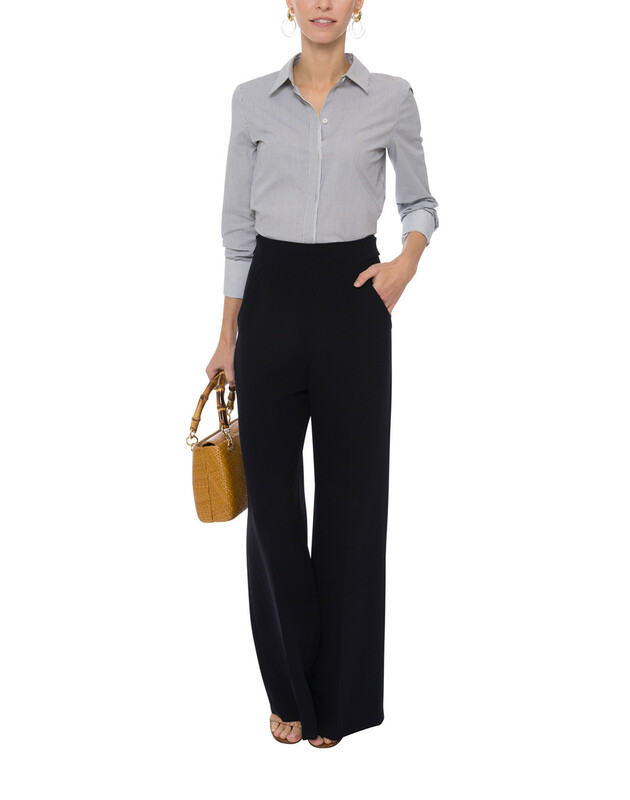 Dress it up with wide leg trousers for a chic workwear look. 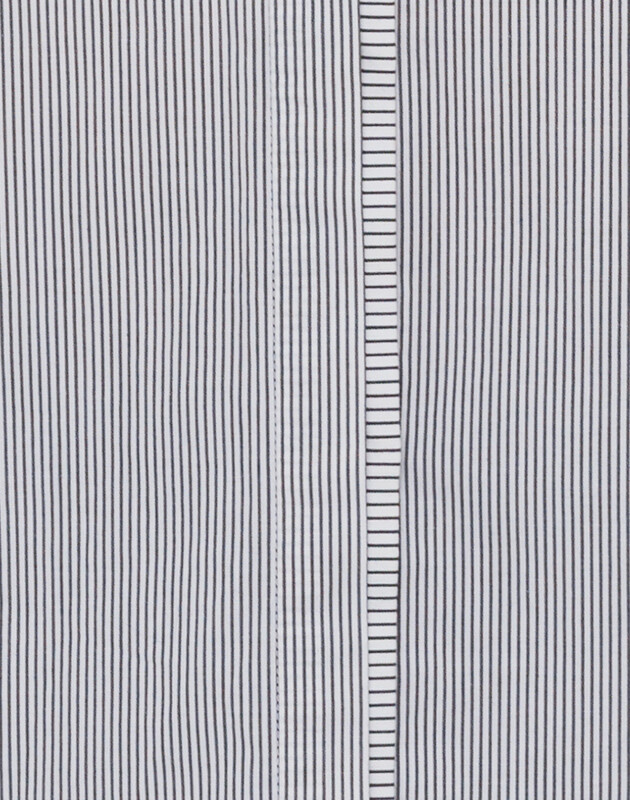 Length 27.5" 28" 28.5" 29" 29.5"
Bust 37" 39" 41" 43" 46"
Waist 37" 39" 41" 43" 46"
Hip 40" 42" 44" 47" 50"
Sleeve Length 23.5" 23.5" 23.5" 24" 24.5"